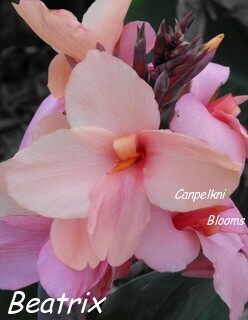 The Pink Cannas I grow come in a range of different shades. Some are pale pastels pink, deep pink, salmon pink and rose pink. 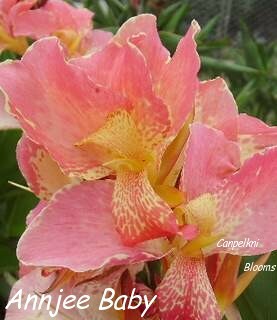 Many of the Pink Cannas I grow are shaded with apricot, they either starting off an apricot tone and progress through to pink or open pink and progress to apricot. 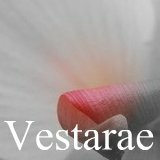 Plant name and heights are also listed, short is up to one meter, medium is from above one to two meters and tall cannas are above two meters. 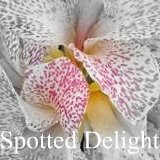 Some white cannas also go to a very pale pink tone, if its a pink toned canna, then it will be listed here, regardless of the color that it starts off at. Canna Aida, medium height, green foliage. Canna Alberich, short height, green foliage. 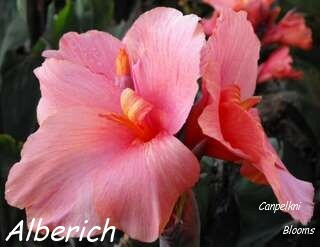 Canna Ambrosia, medium height, colored foliage. Canna Annei hybrid, tall height, green/colored foliage. 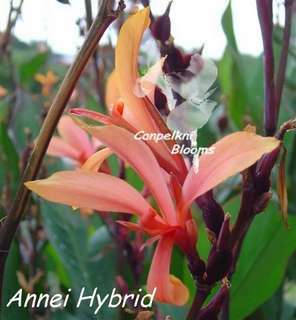 Canna Annjee, medium height, green foliage. 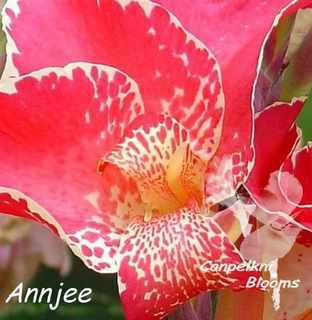 Canna Annjee Baby, short height, green foliage. 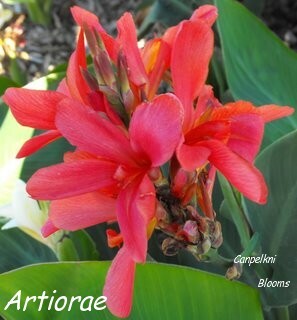 Canna Artiorae, medium height, green foliage. 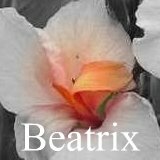 Canna Beatrix, short height, green foliage. 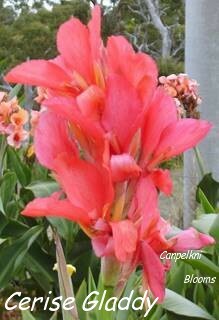 Canna Cerise Gladdy, medium height, green foliage. 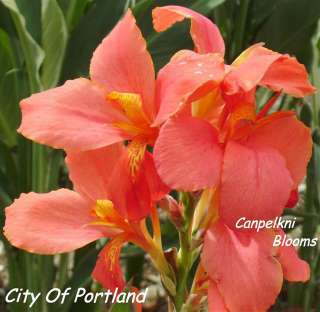 Canna City of Portland, medium height, green foliage. 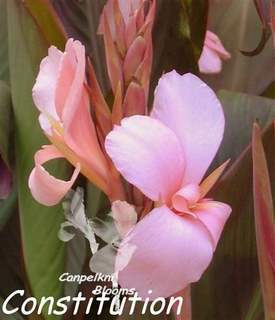 Canna Constitution, medium height, colored foliage. 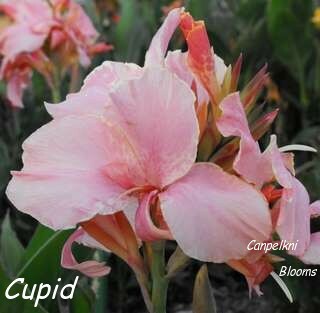 Canna Cupid, medium height, green foliage. 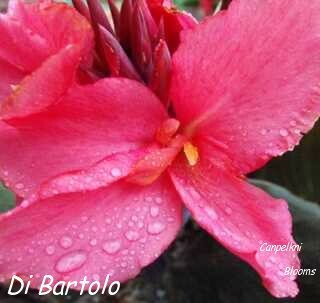 Canna Di Bartolo, medium height, colored foliage. 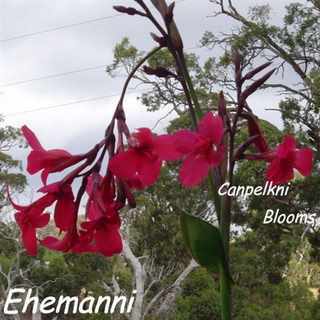 Canna Ehamanni, tall height, green foliage. Canna Erebus, medium height, green foliage. 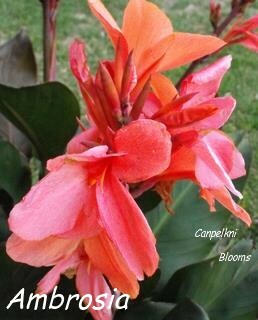 Pink Cannas in Your Garden? 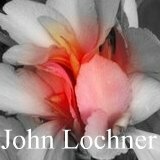 Share your Pictures or Story With Us. 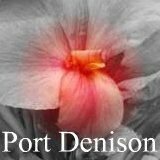 Do you grow any Pink Cannas in your Garden?" we would love to see them. Is its Flower Dark or Pale pink, solid or Bi colored, what Colour are the Leaves. 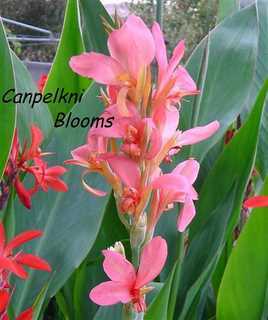 Which is your favourite Pink Flowering Canna? 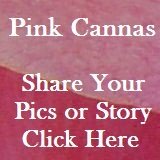 Share your photos or story about any Pink Cannas that you have.